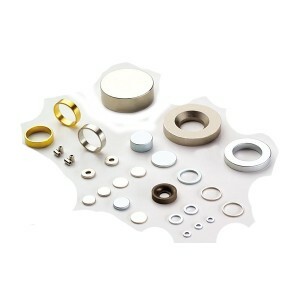 Ningbo Sine Magnetic Company Limited manufacture motor magnets including sintered & bonded neodymium magnets , ferrite & ceramic magnets, alnico magnets, samarium cobalt magnets (smco) which can be used as rotor or stator in different permanent magnet motors such as electric motors,Synchronous motor,Servo Motor, PM motors, AC motors, DC motors, Linear motors, Stepping motors, Brushless motors, etc. The most widely used magnetic material for motors are sintered neodymium material and SmCo magnets material. 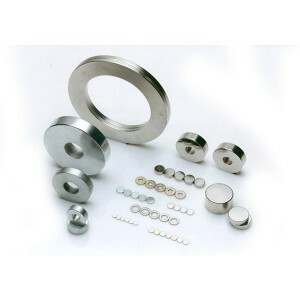 Sintered neodymium magnet features great magnetic strength which can bring large torque for rotors and stators. 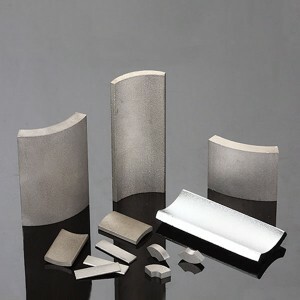 Among sintered NdFeB grades, the H, SH, EH and UH series are popular in that they can withstand working temperature up to 100-200 degree C without losing magnetism. 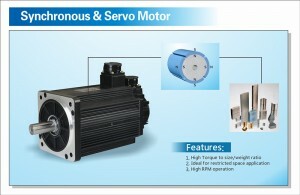 However, as a considerable amount of motor types are to work under higher temperatures, SmCo magnet is preferred for its comparable magnetic strength with sintered neodymium N35 grade and its max working temperature which can be up to 250-300 degree C.
The application of bonded neodymium material in motors is wide spread too for its great flexibility of producible shapes and magnetization orientations. 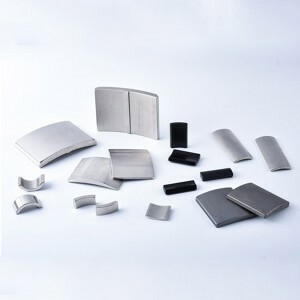 For example, we produced and magnetized a diameter 30mm ring shape bonded NdFeB magnet into 16 poles and 32 poles through diameter, which is not achievable for any other sintered permanent magnetic material. 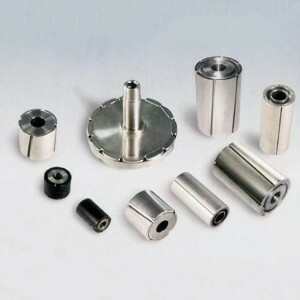 If specified by customers, China Rare Earth Magnet Limited can customize ferrite, alnico and other permanent magnets for the application in motors. 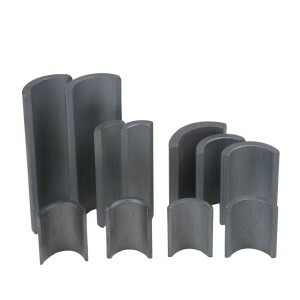 Shapes and magnetization orientations of motor magnets: Ring shapes and arc segments magnetized through diameter are most common for motor magnets. 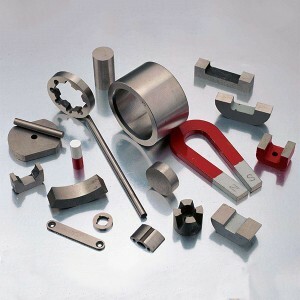 According to specific demands and drawings from customers, China Rare Earth Magnet Limited can supply a variety shape of motor magnets including block, disc, wedge and heteromorphic shapes. 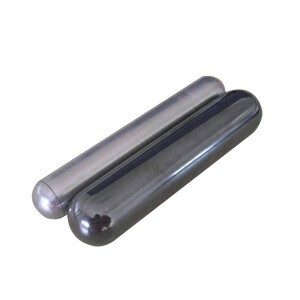 Coating: NiCuNi, Zn, Epoxy, Phosphate, Passivate and others.